What Would Cause My Eyebrows to Fall Out? Home/Blog/What Would Cause My Eyebrows to Fall Out? 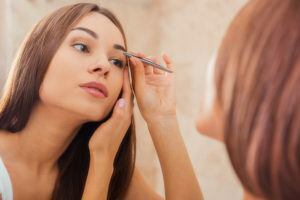 Just as hair on your scalp can become thinner with age, so can the hair of the eyebrows. With that in mind, both men and women of virtually any age can be susceptible to loss of hair in the eyebrows, which can ultimately have an effect on the entire facial aesthetic and lead to a lack of self-confidence in one’s appearance. Dr. Bernardino Arocha, our board-certified hair restoration surgeon, offers an array of treatments that can restore hair in the eyebrows with natural-looking results. Options include surgical eyebrow transplantation, medical treatments such as ROGAINE®, or a combination of the two. Dr. Arocha will be happy to meet with you and evaluate your needs to determine the severity of your eyebrow hair loss and the best way to treat the condition.